Posted in: Flowers, Plants. 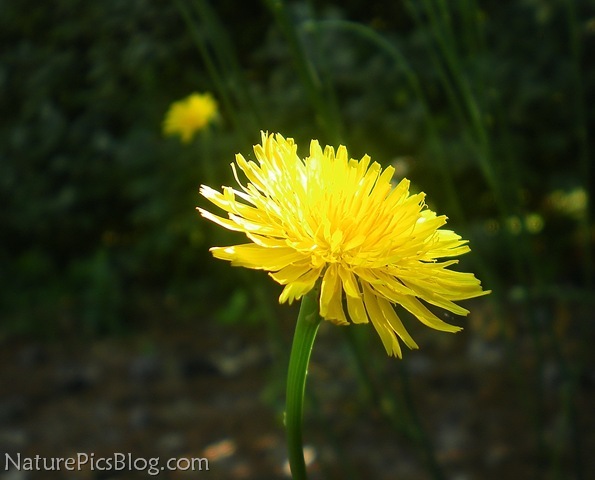 Tagged: dandelion, flowers, Nature, outdoors, Photography, photos, pictures, plants, wildflower, Wildlife. I captured this dandelion growing in the shade of our backyard hedge. It looks so bright and radiant with that beautiful yellow in contrast with the dark shade of the hedge. That blurred yellow spot in the background is a second dandelion. Posted in: Flowers, Plants, Vines. 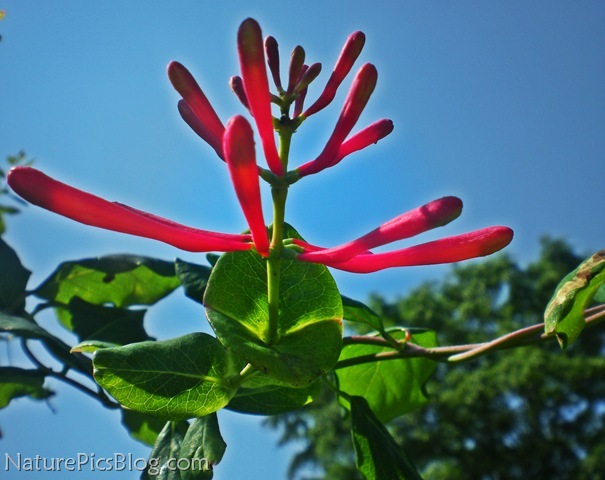 Tagged: Bees, birds, flowers, honey suckel, Nature, outdoors, Photography, photos, picture, plants. Our honey suckle vine is now producing brilliant red flowers. The ruby throat humming birds and the bees love them. The bunch in the photo above will open soon. Posted in: Flowers, Plants. 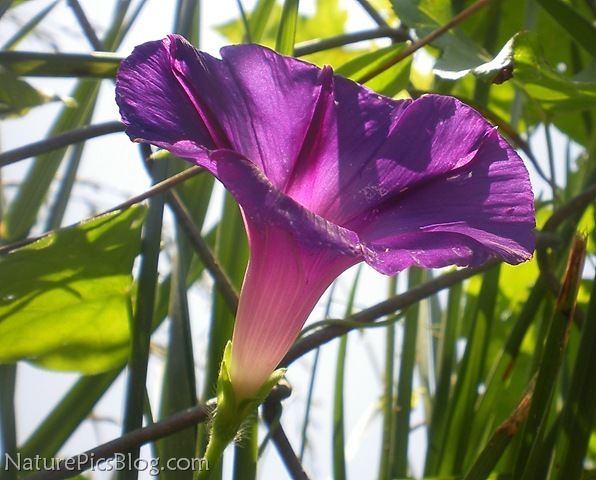 Tagged: flowers, morning glory, Nature, outdoors, Photography, photos, pictures, plants, Wildlife. Last year, we planted several vines of morning glories. We noticed a small morning glory vine creeping up our chain link fence a little while back, but only this morning did we notice this magnificent purple morning glory in its splendor. I’m hoping the vine will continue to produce flowers. Posted in: Berries, Plants. 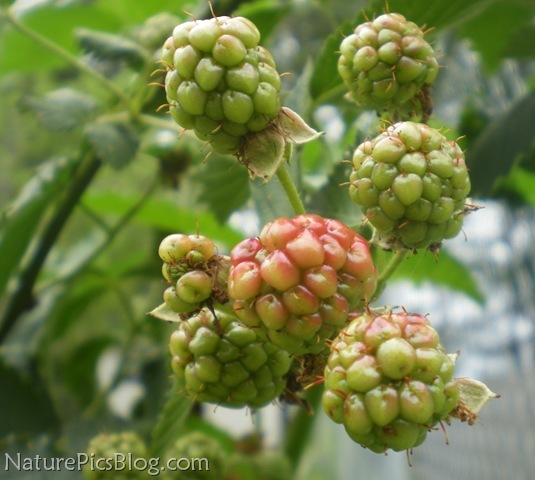 Tagged: berries, blackberries, Garden, home, Nature, outdoors, Photography, photos, pictures, ripe. These blackberries look so yummy! That big one in the middle looks like it’s almost ripe! Posted in: Flowers, Plants. 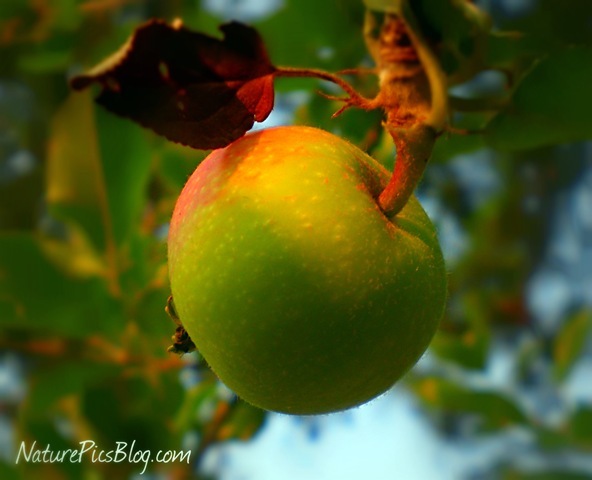 Tagged: flowers, Nature, outdoors, Photography, photos, picture, plants, Wildlife. These tiny white flowers just now reached full bloom. They are so beautiful. Posted in: Insects. Tagged: bug, green, insect, Nature, outdoors, outside, Photography, photos, Wildlife. I found this tiny green bug crawling sitting some of our tree leaves. I snapped several pictures of him before he flew away.